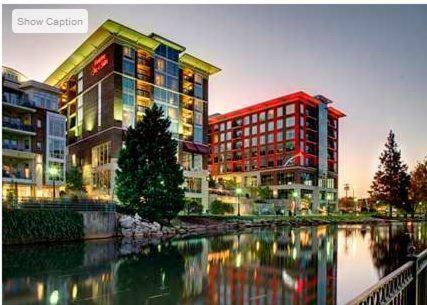 Set in the Riverplace business, entertainment and dining district of central Greenville, South Carolina, this hotel offer a free hot breakfast buffet every morning and guestrooms with flat-screen TVs. 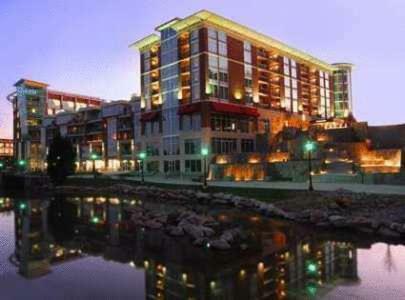 Hampton Inn & Suites Greenville-Downtown-Riverplace features free wireless internet access throughout the hotel. Guests will also enjoy the hotel's fitness centre and well-equipped business centre. The Greenville Drive Baseball Stadium and Falls Park on the Reedy River are within walking distance of the Greenville Hampton Inn. The Bon Secours Wellness Arena multipurpose venue is only minutes away. the hotel Hampton Inn & Suites Greenville-Downtown-Riverplace so we can give you detailed rates for the rooms in the desired period.